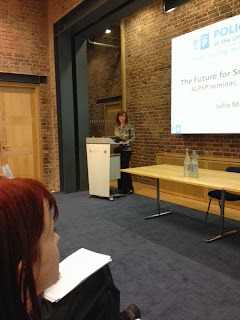 Julia Mortimer, Assistant Director at The Policy Press kicked off the final morning session at The Future for Smaller Publishers seminar. Policy Press publish books and journals in the social sciences, have 6 journals with a 7th coming next year and 3 launched in the last 5 years. They are keen that journal and book content works well with each other and combine broad subjects with niche areas. The future is not guaranteed, so much is unknown. But Mortimer believes that small is beautiful. The advantages of niche are the expert knowledge, unique relationships, that content is king and often, smaller publishers are not for profit and mission-focused. She believes that small is the new big. There is a rejection of large corporates, a desire for personal interaction/feedback. This provides a level playing field and if you have the quality and service you can do very well. However, you do have to make it easy for authors and customers (e.g. online submission systems). It's about community, community, community. Why do people want to engage with you? Are you interacting with them enough? There is a virtuous circle and it is about loyalty - building it and keeping it. They use an annual conference for one of their journals each year - fantastic to engage with authors and readers. Policy Press works in partnership with a number of organisations. The University Press Scholarship Online project makes full text available of over 300 of their titles in 3 subject areas - Public Health and Epidemiology, Social Work, and Sociology. The Oxford University Press sales team help with sales. There are small upfront costs and a revenue share model. This is relatively risk free and they have seen significant sales in the first year. They are working to get content on to more ebook platforms. Mortimer advised not to give anyone exclusive rights as there are plenty of opportunities out there. They have signed up to the CNPIEC and Ingenta Connect eReading platform for China. It hosts journal and ebook content directly so it is hosted in China. This is crucially important for local librarians as it reduces time delays and getting thrown out. A recent visit reinforced the view of the power of a tailored response to a geographic market. And they were treated like VIPs and respected for bothering to turn up! This tailored, collaborative approach is an effective way for a small publisher to access international markets. At a time when everything is 'e' Policy Press launched the new Journal of Playwork Practice which straddles childhood studies and other disciplines. They are printing a lot of copies for a large number of individual practitioner subscribers. This is a result of dealing directly with the market. Think about what will customers want in the future? 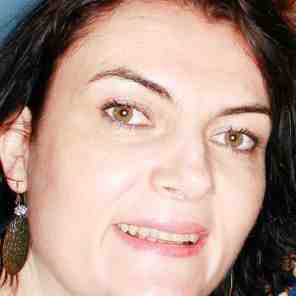 Ann Lawson, Senior Director for Publisher Relations and Open Access, Europe at EBSCO, observed that the heat is on. Should smaller publishers get out of the kitchen or call in the experts? Lawson asked: what does small mean to you? Only you can answer that. EBSCO works with 95,000 publishers. They have around 360,000 title listings across journals, ebooks and databases. In 1994, the largest 10 publishers took up 19% of revenue in EBSCO books. In 2009, the largest 10 publishers took up 50%. In 2013, 68% of revenue came from the top 10 publishers. Some big deals go direct and don't use an agency, so this statistic could be higher. There is a hugely disproportionate market economy going on when you look at the volume of titles with 10% of title volume published by top 10 publishers, but 68% of revenue taken up by top 10 publishers. University spend with EBSCO shows a heavy proportion focused on e-collections. The result is that the big deal has become a bit of a cuckoo. EBSCO are publishing their price projection report this month. One conclusion is that there is a vicious circle (virtuous circle?) of big deals driving more content to bigger publishers with SMEs locked out. Is there a new level playing field for SME publishers in the open access area, with new discovery systems, the emergence of Massive Open Online Courses (MOOCs) and Patron-Driven Acquisition? Whether or not these initiatives mean the explicit break-up of the big deal, they do provide more more competition on a level playing field. Lawson observed that we are all intermediaries between the author and reader. Working with intermediaries involves creation, dissemination and management of content. Any intermediary, supplier or partner you work with should provide: efficiencies of scale, specialist expertise, cost-saving and process improvement. But consider areas where you might not want to outsource: where you might want to protect your crown jewels. Tips and techniques for successful outsourcing include: take a close look at mission, value, strengths, weaknesses, experience, aspirations. Involve your stakeholders and be realistic. Review offerings of potential partners, get advice and do the sums. And once you have entered into an agreement, manage your partners well and closely. Think about cultural issues - everyone is different. And in the future? Well, you can give up and sell to one of the top ten publishers. You can try to grow, although that requires investment. You can change the game and start a new busines model or you can use new technology and all that it offers to compete on a level playing field (working with the right partners). Lawson closed by urging smaller publishers to collaborate, get creative and compete. 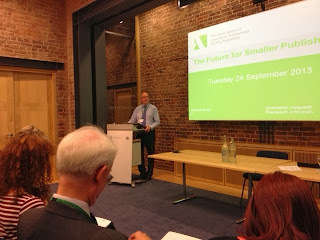 Timothy Wright, Chief Executive at Edinburgh University Press, chaired the ALPSP seminar The Future for Smaller Publishers. EUP themselves are a wholly owned subsidiary of Edinburgh University with £2.6 million total turnover. Monographs are the biggest part of their business, but their journals business is vitally important. They have 39 journals with a mixture of wholly owned society and some editor-owned journals. Smaller publishers face a lot of challenges, but these can be turned into opportunities especially working with key strategic partners. "The days of the small, independent publisher may be numbered due to the enormous advantages offered by economies of scale." He counselled that some small publishers can be extremely profitable. They classify themselves as 'not for profit', but they are 'not for loss' as well! His own organisation has recently launched an open access journal and a digest journal. Richardson reflected on the strengths of smaller publishers who can be agile and have rapid decision making which enables an innovative approach. They can give individual attention to editors and societies and have a proximity to the market. Their niche brand for a society or a journal can have real power. Staff will often have broader roles, which can lead to lower turnover and a stable, dedicated team. Weaknesses include a lack of investment. Competition from other activities in the society, consortia sales and sometimes marketing. Is sales and marketing the achilles heel for the smaller publisher? Library consortia sales, the inability to offer a big deal can feel like insurmountable problems. The solution may be to form consortia of smaller publishers. The Independent Scholarly Publishers Group - ISPG is one example of this with 41 high impact journals from 23 HighWire publishers. Deals have been done in China, Korea, Australia, Sweden and Qatar. Richardson feels that smaller publishers can offer a lot when publishing society-owned journals. His advice is to find out in detail what the Society wants. Make sure you talk to the right people. Do a SWOT analysis and discuss at your presentation. Offer a detailed development plan for their journal and if appropriate, suggest new products (e.g. an OA journal). Use your own society's strengths. Believe that smaller publishers can complete effectively with larger ones! with no one person dedicated to product development and little resource dedicated to sales and marketing. The publishing side brought in most of revenue for society, but wasn't structured to evolve and develop. The leadership team set a long term vision and short term goals. These were presented as a storyboard to the managers and that process repeated at each level. All staff were involved which inspired and motivated them. It was a (pleasant) surprise to management that the wider teams were often more ambitious with their vision than the managers and leaders. When assessing your strengths, Spiller cautioned on the limitations of the SWOT analysis. When done in isolation strengths can be the same as your competitors, and as a result, are not USPs after all. Strengths or weaknesses can often be your opinion and not your customer's view. Opportunities don't consider what your competitors might do and if they would have an advantage. Threats can be quite general using a PESTLE model. A more useful tool for analysis is distinctive capabilities where you consider type, capability, sustainability, delivering value to customers in the future, how you might deliver that and is it distinctive? Collaborations/partnerships - society brand strong, but not distinctive, partnering with others gives them distinct advantage. Commitment / agility to launch new products, respond quickly to market - two staff dedicated to new product development and track record of launching products in 6 months. Stability and helpfulness of staff - low staff turnover and personal service valued. Collaborations - ISPG: quality, high impact journals in biomedical and life sciences from not for profit, society publishers. They share costs of sales and expertise and then access consortia who wouldn't talk to them before/individually. They launched Endocrine Connections - an OA journal and more recently Endocrinology, Diabetes & Metabolism Case Reports. Created and owned by Bioscientifica that is a unique business model collaborating with societies globally with 9 partner societies. Where are they now? They have 3 year goals to double the publishing programme, have a product for everyone with an interest in endocrinology, have an integrated search for all their content. They also have clear goals and strategies for each product, a learning plan, a culture of continuous improvement and KPIs by which they measure success. 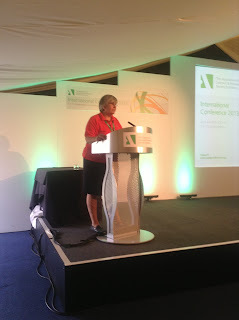 The final session at the ALPSP International Conference was chaired by Catherine Candea from OECD. The panel reflected on the constant pressures on publishers to make content free and asked how can publishers survive and even thrive? Frances Pinter, interim CEO of Manchester University Press and Founder of Knowledge Unlatched considered sustainable pathways for open access scholarly books. Getting to open access is going to be harder. Income to publishers for the kind of books we are talking about is going to be a mixture. We don't know yet, where in the continuum we should be looking for up-front funding ('someone pays' model). We need to know as we move forward what the trade-offs will be to find funding for the costs and satisfying expectations of users who access content, and to pay for the added value that publishers can deliver and want to be recompensed for. In the social sciences and humanities lots of people still want to read printed books. What will people want? We really don't know yet as it is too early in the process to know what does and doesn't work. Third party permissions present major challenges which need to be looked at. Books in long form are an important part of research output in the humanities. Should that remain closed just because it doesn't work for books? If it does, it will shoot the discipline in the foot. If the content remains closed, how are you going to measure impact? There are a number of open monograph models including the open access edition and sales from print and/or ebooks (NAP, Bloomsbury Academic), institutional support for press (World Bank, Amherst) and library press collaboration (Mpublishing/Michigan). Pinter's own Knowledge Unlatched is about to launch in pilot form. It is not-for-profit and aims to help publishers recover origination costs for monographs while helping lbiraries from around the world share the costs of making books open access. They use CC BY-NC licence and include front list titles. Their goals are to make open access for the humanities and social sciences sustainable so these disciplines don't get left behind. Libraries can choose to jointly make a title fee payment to publishers by pledging to unlatch a collection via Knowledge Unlatched. In return, publishers make a flag PDF version of unlatched titles available on an open access licence. Hosting and preservation is done via HathiTrust and OAPEN. There are 14 publishers in the forthcoming pilot with approximately 100 titles in 4 subject areas. In order to unlatch a 30-title collection, 200 libraries will each pay a maximum of $1800 each. Knowledge Unlatched will take 5% to cover costs. Who benefits? Pinter believes readers, libraries, authors, independent researchers and publishers, amongst others. Pierre Mounier, Associate Director of the Center for Open Electronic Publishing (Cléo), reflected on how policy has changed recently from activism to policy, from green to gold. There is a 'gold' rush with a growing market for gold publishing. But every gold rush has its drawbacks, often leaving gold rush ghost towns. Is it a sustainable model in the long term? Publishing in this model relies on only one source of funding. Mounier counselled that we shouldn't throw the baby out with the bathwater: the bathwater is the old clunky access to information that we want to throw away, the baby is the reader themselves and their needs. Publishers need feedback from readers. The traditional model is a cycle of income-to-publication-to-usage-to-sales-to-income. With the gold model it is replaced by funding-to-publication-to-usage. Another alternative is to consider the freemium model. They use HTML and produce PDF, ePub for restricted access and an Amazon version for Kindle. It is a combination of free open access and premium services and licensing. They develop premium services for libraries and their patrons which is then licensed to libraries. There is premium access to books and articles with a dashboard, data supplies and services, information, support and training, branding and customisation. But this is not a static offering: they will evolve and add to the service, with more to come in 2014 and 2015. Open Edition has 100 journals, 800+ books (16,000 anticipated in 2020) and 60+ subscribing libraries. The keyword for Mounier is diversification for sustainable business models. Consider funding (gold), crowd-funding, in-kind institutional support, premium services income and print (on demand) sales. Digital distribution was introduced as an open access project, streamlining and modernising the organisation. They are building a repository and policy which has created value for them, and they did this through listening to their target groups. Finally, act and make new solutions! Best practice is not always the best solution. Open did pay for them, and it can pay in most cases. It's about finding the right balance. Fred Dylla from the American Institute of Physics introduced the final session on day 2 of the ALPSP International Conference: Negotiating with governments. It provided an invaluable overview of policy around Europe and in the US. 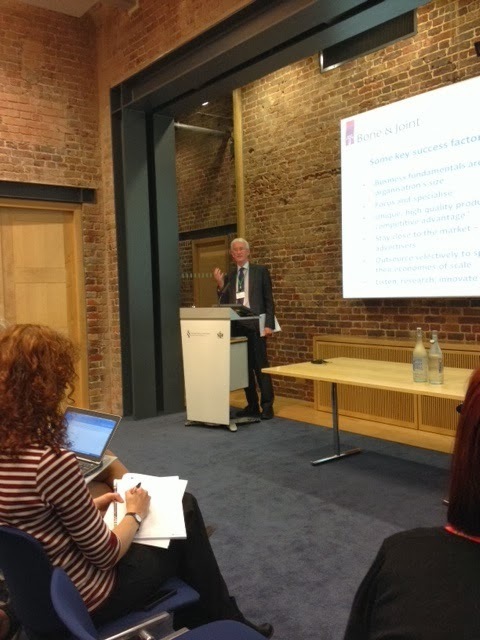 Steven Hall, Managing Director of IOP Publishing, outlined the recent history of open access policy in the UK. Hall continues to be involved in the Finch group and was on the original committee, so has unrivalled insight into the process. The recommendations from Finch were endorsed by publishers, BIS and RCUK were included in the quid pro quo of 12 months embargo in order to make gold open access viable. There has since been criticism of RCUK by research institutions and the House of Lords over their implementation. Meanwhile, implementation by HEFCE is running apace. Their public consultation on open access policy in relation to submissions post-2014 REF closes on 30 October 2013. Key proposals include outputs (journal articles and conference proceedings) should be accessible through a UK higher education institution repository, immediately upon either acceptance on publication, though the repository may provide access in a way that respects agreed embargo periods. With the implementation by universities, policies are still evolving and guidance to authors is changing. There is no consistent policy across Russell Group universities. The majority explicitly favour green over gold, e.g. Bristol, Cambridge, Imperial, Oxford. Most of these are allowing 12 or 24 month embargoes, but some are stipulating green with a 6 or 12 month embargo. 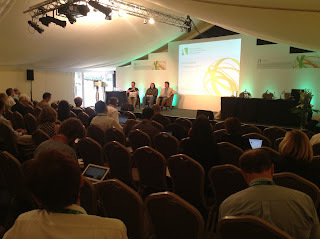 Some institutions are neutral, in different degrees, between gold and green, leaving the choice to authors, e.g. Exeter, UCL. The latter is also supplementing the RCUK block grant with additional funding. A very small minority are favouring gold over green e.g. Reading. Generally, there is a pragmatic and practical approach from universities that publishers can work with. But when you consider why universities are going for green, it is primarily because of concerns over cost. 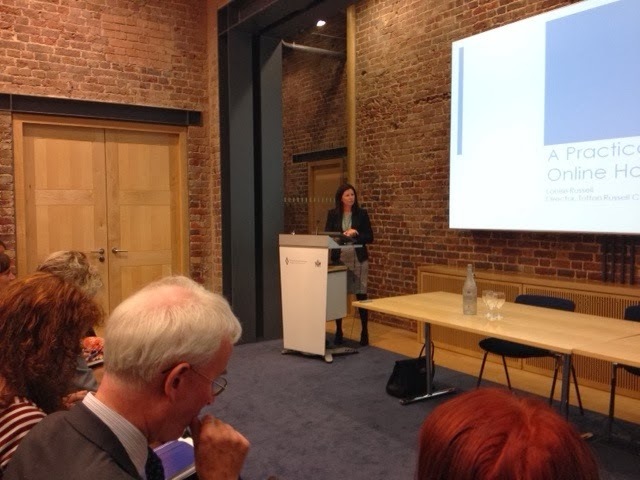 There is growing demand for offsetting of APC costs against subscription and licence fees and a lack of data on numbers of RCUK-funded articles to inform budgeting. Policies and processes are still in development including how block grants should be allocated to researchers, processes for managing payments and compliance monitoring, payment of publication charges for collaborative publications. 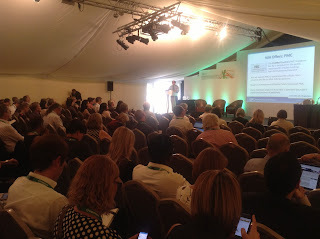 SHERPA/FACT is a funder and author compliance tool from University of Nottingham's SHERPA service. 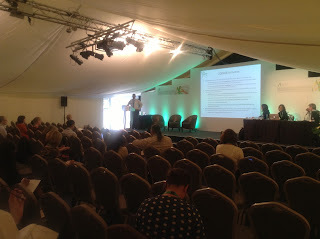 It is funded by RCUK and Wellcome with links to SHERPA RoMEO for information on embargo policies. Its aim is to be a one-stop-shop for researchers wishing to find out about funding and open access policies. What have we learned so far? Universities and researchers are nervous about this. We need close consultation and cooperation with all stakeholders - this is critical. Clear, consistent, unambiguous and actionable guidance for researchers is required from funders, universities and publishers. More work is required on forms of licence for gold and green. Policy needs to reflect the journey, not the destination. Eric Merkel-Sobotta from Springer Science+Business Media reflected on whether Brussels think publishers add value? Don't forget that the EU is also a research funder. Horizon 2020 begins in 2014 and provides €70 billion over 6 years. They have implemented it primarily for economic growth, to build better and more efficient science that builds on previous results and avoids duplication and to improve transparency (involving citizens/society). Horizon 2020 makes open accesss the general principle for research funded by the EU (mixed green and gold open access). Gold APCs are eligible for reimbursement and the green embargo is for 6 months. Merkel-Sobata believes the UK has the most far reaching policy, that used a constructive process, with probably the best results for all stakeholders. In Germany, there was good progress during an 18 month dialogue on open access, but after grand-standing by both sides, it collapsed. Spain encourages open access repositories for research, however there is a lot of lobbying going on. In France, there is nothing concrete so far, but a government working group is discussing the options. There will be more news to come from the EU. Currently, the three responsible Commissioners can't agree on potential objectives around Copyright reform. There are complex text and data mining working groups, but not all stakeholders are involved and the key work group for publishers may be disbanded, which could disrupt the process further. There is a sense that other industries and interest groups have far greater lobbying power in Brussels. The scholarly publishing community needs to raise its profile and influence in Europe and they must continue to engage with all stakeholders constructively. Fred Dylla closed the session with an overview of US open access policy. In 2009 US House sponsored Scholarly Publishing Roundtable. March 2012 saw the publication of the OSTP report Interagency Public Access Coordination. The FundRef pilot program was announced by CrossRef in May of the same year and in June the Finch report was published in the UK. In February of this year the OSTP Memo was released - a short, but very nuanced report - increasing access to the results of federally funded research. It suggested 12 months as a guideline with a get-out clause that agencies can exercise flexibility to address challenges and public interests. It also stated the benefit and value of a successful publishing industry. Overall, agency plans must provide for free public access to a full-text version of publications resulting from publicly funded research (after an embargo), contain a strategy for leveraging existing resources, fostering public-private partnerships, provide for archiving and long-term stewardship and identify resources within existing agency budgets for implementation. 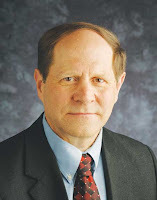 Dylla outlined current projects and initiatives. PubMedCentral (PMC) database has for a decade been the public repository for articles resulting from NIH sponsored research. NIH will expand PMC to encompass the articles from research paid for by other federal agencies. This requires an investment of federal funds to expand PMC. Many publishers object to how PMC is operated because it duplicates functions of publishers. to be low cost or no cost for agency participation except for staff time on the CHORUS committees. The American Association of Universities, Association of Public and Land-grant Universities and Association of Research Libraries has developed an offer called SHARE. There are 3 things in common with CHORUS. Both agree they need persistent identifiers, the development of metrics and preservation. What happens next? CHORUS is about to launch a pilot and there is hope that agencies will take it up. Some agencies will partner with PMC, but will need funds. All plans have to be reviewed and approved by OSTP/OMB and returned to agencies for full development and implementation in 2014-15. It is now old news that data - its production, management and re-use potential - is of growing significance to all the key stakeholders within the scholarly communication ecosystem. Publishers need to navigate the emerging landscape of technology, researcher and industry needs, and funders’ and policy-makers’ priorities in order to continue supporting the growth and discoverability of knowledge. Wiley's Fiona Murphy chaired a panel discussion that provided publishers with insights on how – and by whom – the roadmap is being written, as well as its challenges and potential opportunities from researchers, funders and industry perspectives. Simon Hodson, Executive Director at CODATA, provided an overview of their work. Their focus is on strengthening international science for the benefits of society by promoting improved scientific and technical data management and use. It is an international community and network of expertise on data issues. Their key areas of activity are policy frameworks for data, frontiers in data science and technology and data strategies. They develop data citation, standards and practices. September sees the release of their major report Out of Cite, Out of Mind. Hodson provided an overview of relevant data policy including the Royal Society Science as an Open Enterprise Report from 2012. Examples of projects relating to data policy include the Dryad Joint Data Archiving Policy and Dryad Sustainability. Kerstin Lehnert, Director of the Integrated Earth Data Applications Research Group (IEDA), provided a view of data from the researcher's perspective. Why open access to data? There are two main reasons: to allow verification of research results and to make data accessible for re-use. Data must be fit for re-use: it must be discoverable, be openly accessible, be safe and it must be useful. One example of useful data is the Sloan Digital Sky Survey. It contains 2000 articles with over 70,000 citations, and a lot of useful science has come out of it. Another example is Earthchem Synthesis. Within 2 minutes you can explore the whole literature and create a map with different composition of different areas. It has seamless integration within the discipline. There are a number of guiding principles. Quality of data makes it useful to include complete documentation of provenance. Domain-specific data stewardship provides development, maintenance and promotion of domain-specific, community based standards for data and metadata. Domain-specific repositories are best positioned to ensure 'fitness for re-use'. However, they must ensure professional data curation services and integrate with the scholarly communication ecosystem. Lehnert outlined the IEDA development of standards. They had requirements for the reporting of geochemical data. Steps were taken to move from a suite of databases to become a repository to ensure better sustainability. They improved policies and procedures using DOI, IGSN and long term archiving agreements with NGDC and Columbia University libraries. They also sought accreditation with membership in the world data system and as a publication agent of DataCite. Lehnert closes with a number of questions. Many data types have no home or standards. Where should these go? How can we help other domains to establish repositories and best practices? Who decides which repository data should be submitted to? Are there recommendations from societies? The sustainability of repositories is still not solved, so what are the business models to ensure longevity? How can we streamline the link between repositories and journals? Do we need a centralised solution? The final speaker was Tony Brookes from the Department of Genetics at the University of Leicester. He urged data sharing as it is important, but acknowledged it is problematic. Prioritise IDs and risk categorisation, improve data discovery and consider setting up database journals. In essence, don't just tweak the current model. The elephant in the room is the real reason data sharing isn't happening as quickly as we might like. No one wants to, whether they are researchers, institutions or companies. 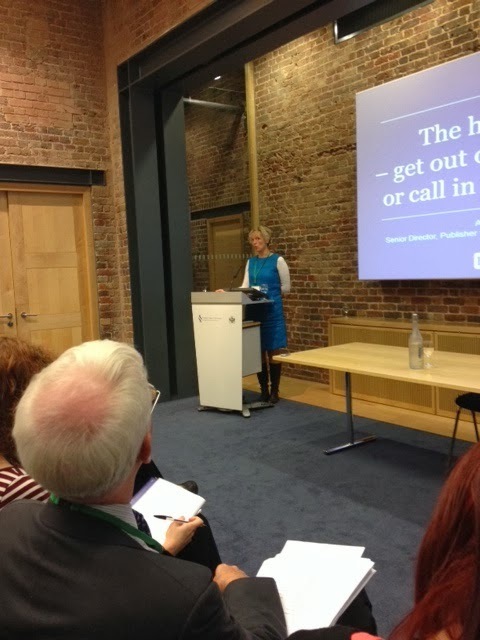 Margie Jarvis, Learning and Development Director at Oxford University Press, began what proved to be a highly interactive session by describing the changing landscape publishers currently inhabit. Our work is becoming more complex and paradoxical, she suggested; craving certainty, we must instead cope with ambiguity. And the new skills required to work effectively in this environment are not purely the technical skills at might be expected: publishers also need more sophisticated soft skills than ever before, now that they find themselves working increasingly collaboratively, with a wider range of partners. Meanwhile, people's expectations of work are changing: more and more, they expect a sense of achievement from what they do. Jarvis was followed by a colleague from OUP, Penelope Woolf, whose focus, she explained, was on how we attract the right people into publishing. 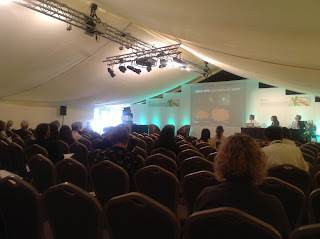 To illustrate the problems involved, she showed a short film of A-level students answering questions on the industry. Tellingly, the word "printing" came up twice in the first ten seconds of their answers, with proof-reading identified as one of the key contributions made by publishers to the publishing process. Though most of the students hadn't considered a career in publishing, those who had, had done so because it "involved a lot of reading". Woolf then compared a list of publishing roles mentioned by the students with those advertised on a publisher's website, and the disparity between the two was striking: the majority of advertised jobs were technical, an area completely absent from the students' list. Highlighting how the students' perceptions of publishing were mostly fifty years out of date, Woolf moved on to consider how our new reality differs: new competitors, new and multiple business models, and a greater focus on our customers. Our staff need new skills - digital literacy, an understanding of user journeys, and an ability to negotiate complex supplier contracts, for instance - yet we cannot afford to lose the skills they already have, particularly creativity. Employees need to be as flexible as publishers themselves must be, but if we don't change perceptions of the industry, we won't be able to hire the sort of people we need. Rossella Proscia, marketing director for EMEA at Cengage Learning, then turned the focus on to the changing role of marketing departments. Undertaking a widening range of tasks, from contributing to the product proposition to creating customer insights from data analysis, marketing staff more than ever need passion, audacity, and responsible optimism; they need to be capable of finding effective ways to take action. Though specific skills such as blogging and tweeting may prove ephemeral, an ability to learn will remain vital. "Was it something we said? (Or something we didn't?)" The second day of the ALPSP 2013 conference began with a panel session on communication. Linda Dylla, Communications Consultant at the American Institute of Physics, and the owner of White Horse Communications, kicked off proceedings. Reminding the audience that publishers sometimes struggle to communicate the value of what they do to external audiences, she suggested that this could because they speak their own private language which others couldn't easily understand. Grace Baynes, Head of Corporate Communication at the Nature Publishing Group, started her talk by explaining her that her team at Nature comprised four people within a marketing team of sixty. To communicate effectively with such a small team, she told us, it was vital to work closely with colleagues outside the marketing department. By empowering other staff to act as spokespeople, you could achieve far more. The enthusiasm that experts have for a subject can make them compelling advocates; give them some guidelines so that they know what's appropriate, and then trust them to represent you. Within their own networks, they may also have more influence than your brand, particularly if their connections are themselves influential - when Tim Berners-Lee shared a piece from Nature, it reached a much wider audience than it would otherwise have done. Baynes also emphasised the importance of listening to your audience. Discovering what they want is obviously vital, but learning the language they speak can be equally important if you want to be able to engage with them. And once you've learnt the language, she suggested, you need to keep your message simple: not everyone has the time or attention to listen to a five minute presentation on why what you do matters. She finished with a few more pieces of advice: know when to engage, and when it's wiser to walk away; and when you've made a mistake, don't be afraid to admit it! Helen Bray of Wiley followed Baynes, describing how Wiley had used communication to bring change into their business, making sure that the rate of change within the business wasn't outstripped by the rate of change outside. The company began by consulting their stakeholders, asking societies, academics, and libraries which trends they expected to revolutionise academic research. Though the responses differed in the detail, each group was in agreement that digital tools for collaboration were most important. Wiley's customer research also revealed that their assumptions about what qualities mattered in a publisher weren't necessarily shared by their audiences, vital information if customer relationships are to be sustained for the future. The session ended with questions from the audience. Asked how long she spent on social media, and whether the time was useful, Baynes explained that social media took up about an hour of her time each day, and that though it could be difficult to measure the value of communication, benchmarking how your company's reputation changed could give a good sense of whether it was working. David Smith from the IET chaired an insightful publishing practicalities session on day two of the ALPSP International Conference where Jason Hoyt from PeerJ expounded the benefits of being in the cloud and Alan Hyndman from Digital Science outlined how you have to use Google Analytics to improve your marketing. It’s free. It’s comprehensive. It's the most commonly used analytics tool. As a result, there is an expert online community (blogs, training forums, etc). Google being Google they constantly upgrade it so it is constantly evolving. It is easy to use - you don’t need SQL or excel skills to use the data - and easy to implement. Key elements of Google Analytics include the audience overview. This provides overarching information and indicates whether your traffic is going up or down and why, are the visitors staying, and helps assess whether you get quality traffic? Location provides breakdown of geographical spread of visitors. The technology section includes browsers – essential if you are developing a site which tells you what to test on and how to build best structured site for optimal performance. Traffic sources will tell you where people find you and therefore which part of marketing channel is most successful. Within the content and conversions function, a common mistake that people make is that they don’t set up goals. When defining conversion you can look at macro conversions (sign up for an account, buy a product, buy a subscription) and micro conversions (stay for more than 5 minutes, view different pages, share with social media, etc). You don’t get data retrospectively so set up goals at the start. You will then be able to drill down into (e.g. conversions or sales and find out how/where people found your site) and focus marketing on the most effective ones. Goal funnels show drop off points that you can use to spot and solve problems. Another key thing is to do is campaign tracking. Don't forget about multi channel attribution. If you look at the end then you might attribute something to Facebook, but actually people don’t use the web in that way. They might sign up via Google for a newsletter, receive email communications. You need to take a step back and consider all channels and how they influence customer behaviour. Jason Hoyt from PeerJ explained the benefits of moving to the cloud. He suggested that you need to go through a period of introspection and throw out (outsource) anything that is not core or where you aren’t experts. Identify your customer and their top needs. Throw out anything that your customers don’t care about. The modern organization is SaaS-supprted (software as a service). PeerJ started out with SCALR cloud management solution (open source solution). There are a variety of pricing models (monthly, pay per use, etc). They have back-up with Amazon whose servers are global and regional so there are multiple back-ups. The (Amazon) cloud is for organisations both big and small (e.g. Netflix and Dropbox). Using the cloud has a psychological bonus – of being on the cutting edge of technology. There are exceptions to these rules, but for the most part you’d be served well to follow these tips. Huw Alexander, Digital Sales Manager at SAGE, took inspiration for his entertaining talk from his collection of science fiction books. Writers of fiction, he assured us, are often effective imagineers of the future: Ursula Le Guin imagined email (which she called "the ansible") in her novel the Dispossessed. Jorge Luis Borges's short story the Library of Babel, written in 1944, envisaged a universal library containing an infinite number of books, not only every book that exists, but that could ever exist. Google's library scanning project is, according to Alexander, taking us in the same direction. Unlike many, Alexander was optimistic that the present period of flux might settle down into an age of reason. He invoked Douglas Adams's insistence that old media don't always die but survive in a new complementary role: stone masons aren't the dominant form of communication any more, but who wants a TV screen at the head of your grave? For publishers to reach this point, though, they needed to escape the "terrorism of short-termism", and spend more on research and development rather than temporary solutions. The future he predicted was one of access rather than ownership, subscription models based on usage and not hobbled by intrusive digital rights management technologies. 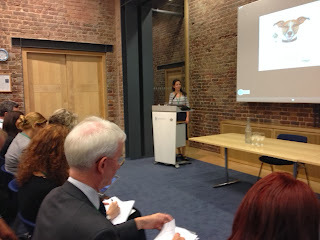 Alexander was followed by Hazel Newton, Head of Digital Publishing of Palgrave Macmillan. Newton explained the thinking behind Palgrave Pivot, a new mid-length format positioned between the journal article and the monograph. Research outputs such as monographs and journal articles, Newton noted, are constrained by physical limits that no longer apply in a world where paper is no longer the dominant form. Pivot would aim to publish "articles at their natural length" (which, on the basis of the titles they've published so far, appears to be around 130 pages). One key feature of Pivot, Newton told us, was publishing titles within twelve weeks of acceptance, to ensure that up-to-the-minute research reached an audience as quickly as it needed to. To achieve this, Palgrave had to dismantle its existing publishing workflow, but the project has been successful so far, even managing to publish one title within five weeks. Milloy's fascinating research revealed very differing attitudes towards open access among editorial and marketing departments. Editorial departments, she found, were very conscious of the issues surrounding OA, and how these issues affected publishers - for instance, whether cost-recovery for open access titles was required across a list or for an individual title would be vital to publishing decisions. Editorial departments were also very aware of the value that they added, and expressed concerns that one of those key areas in which value was added - selecting titles to publish - might be lost to those providing the money for publication. Editors were also keen to express how careful they were to ensure that staff were well-informed about open access. Marketing departments, by contrast, were more bewildered by how their roles were affected, worrying what might happen if a title became open access late in the publishing process, after the sales team might already have sold copies of it. Some - though not a majority - wondered why they should bother marketing a title they'd already been paid for. Milloy ended with some lessons drawn from her research. Publishers need different ways to evaluate the success of an open access publication, rather than their usual measure: revenues. They should set their project teams up as soon as possible, making sure to question every process, and to educate staff. They should start thinking about new standards right now, map timescales for their models, but most of all they should image in what success might actually be like, and take time to participate in experiments. Tim Brooks Keynote: Drowning - or Waving? We are delighted to welcome delegates to our annual International Conference and Awards. This year we will provide coverage of the event on Twitter so follow the #alpsp13 hash tag. We'll also provide summaries here on the blog. 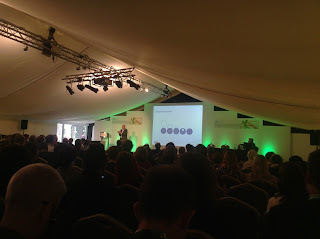 The day kicked off with a keynote from Tim Brooks, CEO of BMJ who reflected on the struggle that every organisation has with technology driving change. Brooks is a journalist by training, but has experience of working at The Guardian, IPC Media, Time Inc and Emap amongst others. He was a Visiting Fellow at London Business School before joining BMJ, which provided a different perspective of how people learn. He has seen first hand the challenges traditional media companies face. At BMJ, they have over 60% of revenue now derived from digital, up from 10% in just a few years, and they are seeing growth from international markets. Brooks observed that it is impossible to talk to anyone who is not facing an increase in the speed of activity, greater need for flexibility, an increasing number of variables, ever more complex interdependencies and an increasing range of novel - or unpredictable - phenomena. Fast is the new slow. Being a manager today is a lot like ongoing agile development. There are cultural obstacles that are easy to overlook. Good news culture can be corrosive: issues that are causing difficulty get filtered out as it goes up the organisation, so that those with senior, strategic responsibility aren't getting the full picture. Skills and decision making are key, but corporate leadership were/are not digital natives. Leadership by definition has vested interest in the status quo. And digital natives are not naturally drawn to legacy environments. Marrying digital skills to an enterprise's established skills or vice versa challenging and time consuming. Do those who know have a voice? Brooks drew on the example of Emap in the 80s. They noticed that classified regional newspaper sales were falling across the board. Rather than fire the sales team, they talked to them - as highly skills professionals - to find out why. The message was clear: local radio was taking sales. The solution? They sold their regional titles and bought into local radio. There are a number of structural options an organisation can adopt. The prevailing wisdom is if you are going to make a transition to the new you have to keep it separate. But there are a lot of different options for company structures and it is difficult to predict which is the right one. Make sure you use the right metrics. Don't get trapped by your own perception of what your business is: the customers' perception is more important. The UK has the most competitive newspaper market in the world because it was the first into the market in Victorian times. Shrinking, dying industries start doing strange things, but when you look at The Times and The Guardian, they have strong readership and there is healthy rivalry. Sky has been brilliantly agile. They have portfolio agility and strategic agility. When LoveFilm came along they untethered their content so it can be watched on mobile devices. This was a massive change to their business model and one that was full of risk. They structure their businesses for different markets - keeping film and print differently. While Brooks was at The Guardian, they opened up weekly open meetings for all staff to come along to discuss a digital related issue. It was amazing how they gained fresh insight into issues from unlikely sources. He stressed the importance of remembering what's in it for the people you work with. Treat staff as volunteers. Talk and listen. Honour the rule of 5 (in marriages if there are five or more positives to every negative the marriage will last). Treat your staff the same way. Look after your team. Tell people what you want them to do, why you want them to and thank them for it. And don't forget you. The balance between self, loved ones and work crucial. We are delighted that Semantico are gold sponsors at the ALPSP International Conference and Awards 2013. With the conference just a couple of days away, their Business Development Director Terry Hulbert spoke to one of our key plenary speakers, Bernie Folan, and asked her what organisational restructure she anticipates companies responding to meet the demands of the born-digital community will make. This is an extract from the interview. You can read the full article on the Semantico blog. "I don’t think there is one right or optimal structure, so I’ll talk instead about qualities. I think looking out and making real time for learning about the world of research is vital and I’m coming around to thinking that the only way to make it happen in busy working lives is to build in that time in some formal way. I like the thinking behind Google’s 20% time although I wouldn’t suggest it’s the only way and read recently that it is dying out as work levels increase. Nevertheless some research has shown we are most creative when at rest or play. I think it’s important to have the right people in the right roles so the innovators are not stuck in reports and spreadsheets whilst the detail people are not trying to come up with the next big thing. However, I think there should be some simple mechanism for gathering ideas from all employees. We all live in the world and whether we do it within a university or not, we are all learners. Organisations need to be agile too. Do we really still need all of those people over there whilst we are hiring over here? Matching skills to roles and getting the numbers right overall as business changes are important and mean that companies need to invest in and develop strong leadership and prioritise honest, open discussion and brave decision-making over short-term comfort." The ALPSP International Conference and Awards starts on Wednesday 11 September at The Belfry, near Birmingham. Follow the action via the Twitter hashtag #alpsp13 and bookmark this blog for updates. We are delighted that Semantico are gold sponsors at the ALPSP International Conference and Awards 2013. In the run-up to the conference, their Business Development Director Terry Hulbert spoke to one of our key plenary speakers, Fred Dylla, about trends and insights in the policy arena. This is an extract of the interview. You can read the full article on the Semantico blog. "We do not need a revolution to achieve open access, and in fact, we are already evolving toward a model of publishing where the public enjoys reasonable free access to federally funded research while journals continue to play a central role in science by publishing peer-reviewed research and maintaining the highest standards. A similar evolution in publishing has already occurred over the last generation. Just 20 years ago, the business model of all academic publishers centered on print journals, and virtually none had any sort of online presence. Today the publishing industry has largely evolved into business models centered on the web. This didn’t happen overnight. There were many experiments and forays into digital archiving that came up short. But today researchers everywhere enjoy easy access to archives that would have been unthinkable a generation ago. I think that public access policies will similarly evolve in the next five–10 years, and scientific publishers will be evolving alongside. There are plenty of examples in nature of creatures that co-evolve—like Darwin’s flowers and finches on those isolated Pacific islands. Co-evolution is the healthiest way forward for public access and scientific publishing. Kill off the finches, and the flowers may whither on the vine." 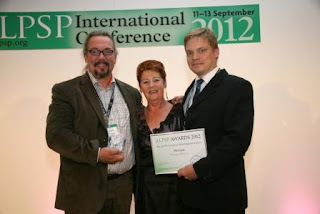 As the count down to the 2013 ALPSP International Conference and Awards continues, we asked Janne-Tuomas Seppänen, Founder of Peerage of Science, winners of the ALPSP Publishing Innovation Award in 2012, to explain how they serve the research community. 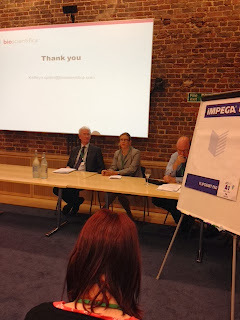 "Peerage of Science is a new kind of peer review and submission system launched on October 2011, and it won the ALPSP Award for Publishing Innovation in 2012. The service is currently used by 25 journals, including new ventures like PeerJ (one of this year's finalists for the ALPSP Publishing Innovation Award) as well as established society journals like Ecography and Heredity. The most recent publisher to establish a contract with Peerage of Science for full use and rights to make direct publishing offers via the system is BioMed Central, which launches participation with four journals including their flagship biology journal BMC Biology. I was asked to outline why and how the initiative responds to particular needs in scientific publishing. Here's three personal perspectives on why Peerage of Science was born. 1. There was no yardstick, and little reward, for trying to excel in peer reviewing. Getting my first reviewing requests as a fresh PhD felt like coming-of-age for a young scientist. Being trusted to do a peer review is a privilege, up to which your knowledge and analytical skills should now measure up, so naturally I wanted to get feedback and compare my arguments to those of other reviewers. But not all journals provided the opportunity to see other reviews, some did not even notify about the final decision. Of course I had seen plenty of peer reviews written by others – in response to my own submissions and those of colleagues. Sometimes peer reviews were thorough, incisive, even brilliant and giving valuable guidance for research. But all too often they were flippant and dismissive without analytical justification, let alone supported by references to literature. The variance of quality was astonishing, given that they are all supposedly written by the most learned and brightest people on the planet. I know I do not necessarily have to have an article in Nature or Science to maintain a career in science, but if you've never been rejected from those journals, then you are not trying hard enough. This often results in a publishing process that is a slide down the journal prestige ladder until an article ends up accepted somewhere. And that process takes on average over a year, each iteration requiring time and effort from authors, editors and peer reviewers, and consuming publisher's resources. In addition, editors I knew were telling me it is getting harder and harder to find (good and punctual) reviewers. Even top-notch journals may have to send requests to ten or more people to get two reviewers. Given that good journals reject a large majority of submissions, the effort and money publishers invest in just managing peer review, per article actually published, must be substantial. Wouldn't the editor and editorial office resources be more effectively used in growing and maintaining journal quality if they could be more focused on material a journal wants to publish, rather than material rejected? Instead of resigning myself to coffee-break rants about a Churchillian "worst-system-except-for-the-alternatives", together with colleagues Mikko Mönkkönen and Janne Kotiaho, I wanted there to be a better solution. Just two things are needed to remedy the situation. First, peer review quality needs to be measured in a way that creates academic recognition for high-quality peer reviewing, and social pressure to avoid flippant, hasty evaluations. Second, consideration of whether to accept for publication or not needs to be done concurrently by suitable journals during peer review, instead of wasting everyone's resources and time in multiple iteration rounds. Peerage of Science has many other features too, but these two are at the centre of the concept. It was an immense honour, and a huge boost for developer spirits, when ALPSP decided to give the Award for Publishing Innovation 2012 to Peerage of Science last year . Being officially recognized by a leading trade organisation in academic publishing gave Peerage of Science legitimacy among prospective customers that is otherwise an uphill battle for small start-ups to establish. 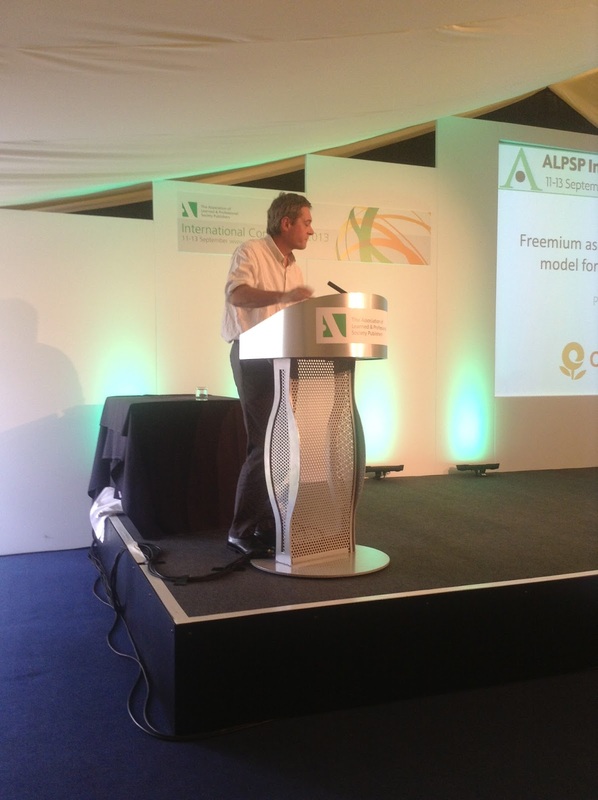 But perhaps even more importantly, the ALPSP in effect gave the Award to the scientific community also. Scientists doing peer reviews in Peerage of Science, and authors bold enough to be early adopters of a new system, were recognized and awarded too, and encouraged to continue to make the initiative possible." Janne-Tuomas Seppänen is an Academy of Finland Postdoctoral Fellow in the Department of Biological and Environmental Science at the University of Jyväskylä Finland and Founder of Peerage of Science, which received the ALPSP Award for Publishing Innovation in 2012. The ALPSP Awards will be announced at the annual conference dinner on Thursday 12 September at The Belfry. Full details of the finalists are available on the website.